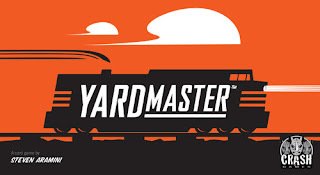 The freight is rolling into the yard and it's up to you, the Yardmaster, to organize and manage it making sure everything is where it's supposed to be and readying the trains for departure. 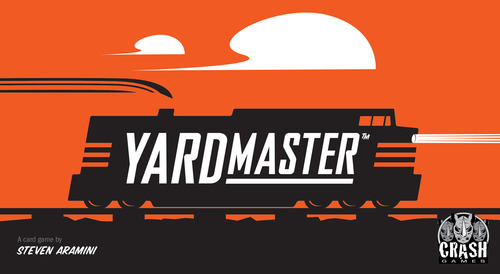 Yardmaster is one of the games we backed on Kickstarter. It's a simple quick card game about building trains carrying different goods. Each freight car has a specific good and point value. Starting from your engine, you can add freight cars as long as either the color or card value matches the previous car. First to 16 points (in a 3 player game...) wins!